This review presents our understanding of cometary dust at the end of 2017. For decades, insight about the dust ejected by nuclei of comets had stemmed from remote observations from Earth or Earth’s orbit, and from flybys, including the samples of dust returned to Earth for laboratory studies by the Stardust return capsule. The long-duration Rosetta mission has recently provided a huge and unique amount of data, obtained using numerous instruments, including innovative dust instruments, over a wide range of distances from the Sun and from the nucleus. 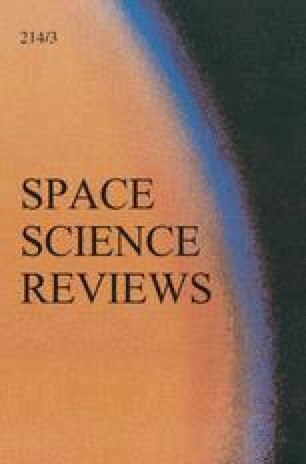 The diverse approaches available to study dust in comets, together with the related theoretical and experimental studies, provide evidence of the composition and physical properties of dust particles, e.g., the presence of a large fraction of carbon in macromolecules, and of aggregates on a wide range of scales. The results have opened vivid discussions on the variety of dust-release processes and on the diversity of dust properties in comets, as well as on the formation of cometary dust, and on its presence in the near-Earth interplanetary medium. These discussions stress the significance of future explorations as a way to decipher the formation and evolution of our Solar System. We would like to warmly acknowledge the ISSI for having organized a Cosmic dust workshop in November 2016, and ESA for making possible the first rendezvous with a comet through the Rosetta mission. ACLR acknowledges support from Centre National d’Etudes Spatiales (CNES) in the realization of instruments devoted to space exploration of comets and in their scientific analysis. H.C. acknowledges support from CNES. C.E. thanks CNES, PNP, DIM-ACAV, Labex P2IO and ANR for support. G.J.F. is supported by NASA Emerging Worlds grant NNX17AE59G. J.L. acknowledges support from CNES. T.M. acknowledges funding by the Austrian Science Fund FWF P 28100-N36. OP acknowledges a postdoctoral research fellowship from CNES. N.T. is supported through Swiss National Science Foundation grant number 20020–165684.